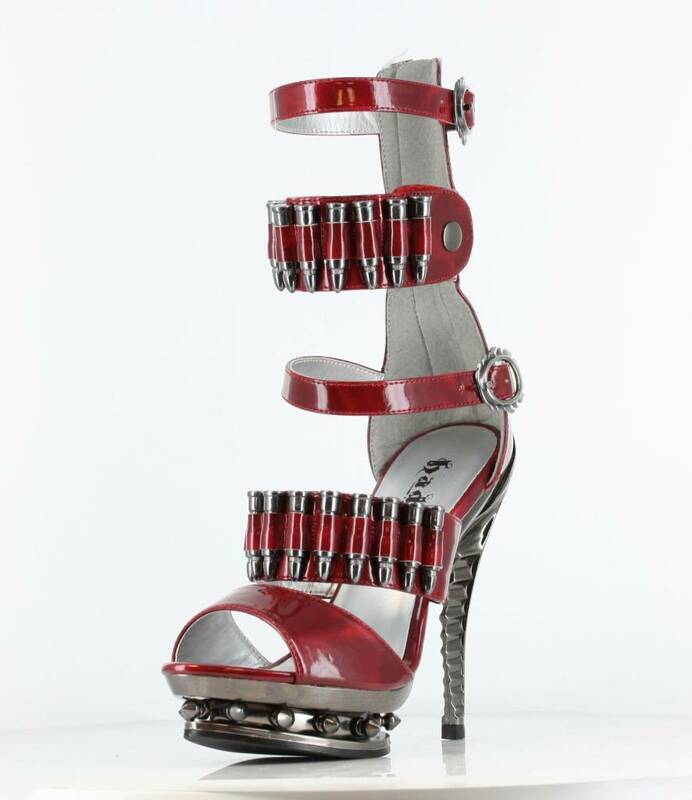 Armed to the teeth with bullets on straps, ready to lock & load onto the dance floor. 5" Skeleton-molded ABS heel with burnished chrome finish. Small spikes entrenched in 1.5" platform sole. 2 fixed straps across the instep, & 3 straps above ankle height are adjustable via silver flame buckle, snap, & another flame buckle. Back zipper though, for easy access. (Mock bullets, of course. We don't want anyone actually injured.) Available in black or red patent vinyl.